To Dog With Love: Fido's Freebie Friday Getting Ready for the New Year! Fido's Freebie Friday Getting Ready for the New Year! 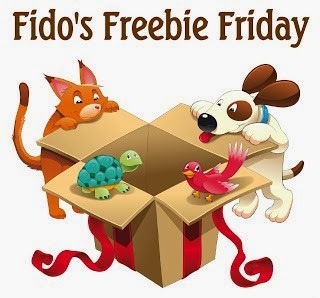 It's time for Fido's Freebie Friday, the weekly giveaway blog hop for all things pet! We hope you had a wonderful Christmas and are enjoying some quality time with family, friends and pets! While you are -- hopefully -- also spending some quality relaxation time, check out all the pet-related giveaways below or add your own! We make it easy by linking them up all in one place! For more information, you can check out the help page. Your hosts are All Things Dog Blog, Doggies and Stuff, DogTipper and To Dog With Love.